Need to export or download a list of all the contacts you have in HoneyBook? No prob. 1. From your HoneyBook dashboard, click the Clients tab. 2. Scroll down to the Exports section on the right side of the screen. 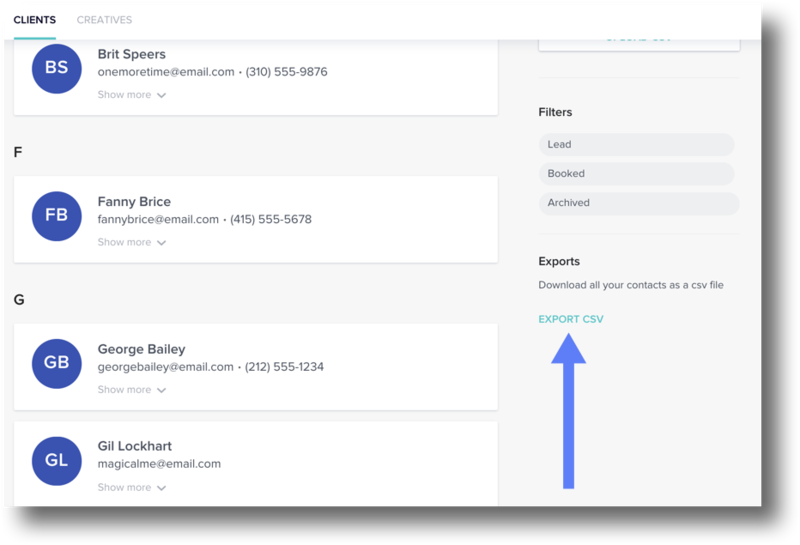 This will download a CSV spreadsheet that includes basic client information such as name, email, phone number, address, notes, and the date the contact was created in HoneyBook. You can also use the Filters, available just above the Exports section, to narrow down your download if you'd like.